Hollywood actor Steven Seagal: "I live here often, I feel very at home here and I love it here." 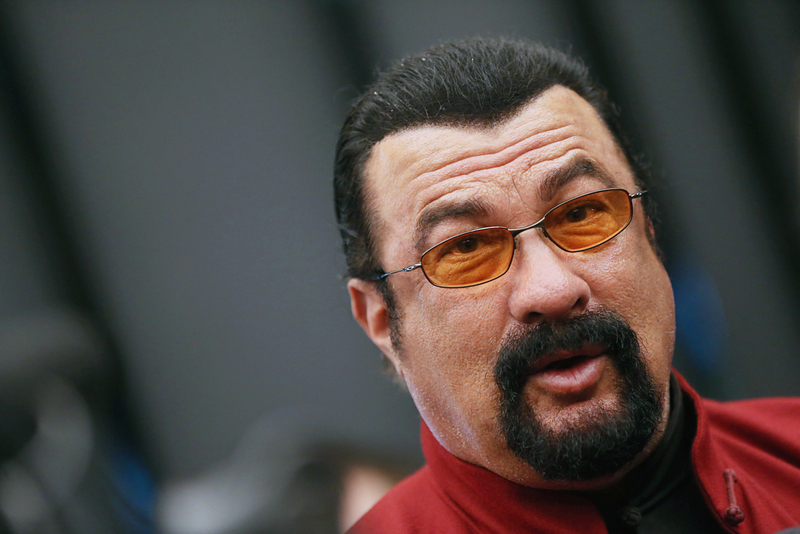 American actor Steven Seagal, who was granted Russian citizenship in November 2016, has arrived in Moscow to shoot a video and says he feels ‘very at home’ in Russia. "I live here often, I feel very at home here and I love it here," the famous actor told TASS on March 9, adding that he has no plans to live in Russia permanently. "I have seven children and they live all around the place and I make movies all over the place. I’m in America, I’m in Japan, I’m in Thailand. I move around," he said. On Nov. 3, 2016, Russian President Vladimir Putin signed a decree granting Russian citizenship to the Hollywood actor. Seagal himself said then that he was "tremendously grateful for this opportunity." Ha also said that "I always felt that the U.S. and Russia should be best friends and allies. Despite the unfortunate propaganda going on I remain fully committed to working tirelessly towards this end and I am tremendously grateful for this opportunity." Seagal was born in 1952 in Michigan, the U.S. He has so far starred in more than 120 movies most of which are martial arts action films. The actor has been frequently visiting Russia as of late. Last September, Seagal traveled to the island of Sakhalin in Russia’s Far East where he visited a film festival. During that trip, the Hollywood star also went bear-watching in the Kronotsky Nature Reserve in the Kamchatka Peninsula.